Aku suka apa yang dikatakan oleh lagenda bolasepak terkemuka Manchester United kelahiran Perancis ini tentang isu yang berlaku di Paris. Tentang keganasan, kebebasan, kecaman membuta tuli kepada Islam, peranan bolasepak dalam menyatukan umat manusa dan sebagainya. Eric The King Cantona membuktikan beliau masih dan akan terus relevan dalam seni bolasepak. “It’s shocking, it’s very regrettable, but unfortunately it’s not the first time that the freedom of expression has been attacked,” he said. “What I want to say is that today, what just happened doesn’t have to be used against Islam. Fanaticism is everywhere, but it concerns just a minority of people. The rest are just simple Catholics, Buddhists, Muslims. 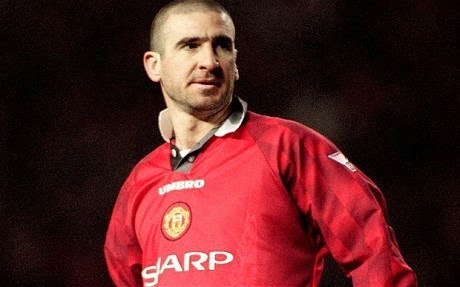 In the wake of the attack, Cantona said it was important that not all Muslims are tarred with the brush of terrorism. “It’s important not to say, that a Muslim, is “moderate”, if he’s just a citizen like you or me. What does “moderate” mean anyway? Does it mean that Islam is an extremist religion? This is a latent provocation, you see? And it’s very dangerous. We don’t have to paint everybody with the same brush. That’s the danger I think. It was also Platini who gave the European Championship under-21 in Israel, which is also disrespectful to the level of human rights,” Cantona told Le Parisien.